Are you planning to go on a mountain climbing trip with friends and family? If so, then one of the dire essentials that you need to bring is the best camping tent. With so many manufacturers in the market creating quality camping tents, it might become a difficult and tedious task to choose the best model to buy. If you currently have this dilemma, then we’re here to help you out as we bring you our guide on how to choose the best camping tent, along with a list of our recommended camping tents in the Philippines. Hope you could find your favorite tent that can make your camping more enjoyable! Know that there are different things to consider when choosing a camping tent like type, durability, and size. Continue reading as we direct you to choose the right tent for your needs. When choosing a camping tent, keep in mind you can select a model bearing one of two types of walls. These variants are called single wall and double wall models. Let’s take a look at the differences between each type. 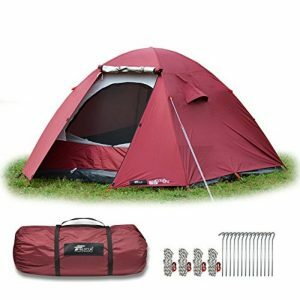 Camping tents that offer double walls typically use waterproof fly sheets with a breathable material. 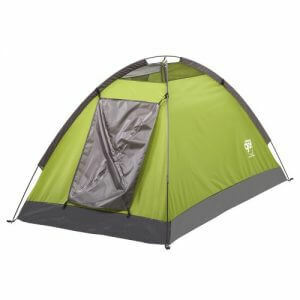 Many tents on the market have these walls making it a recommended choice for beginners. Double walls have a gap between the two-layer construction to avoid condensation in the tent. Bringing double wall camping tents is a definite must for camping trips in moist and rainy environments. Users can even create a separate area for shoes and other things by taking advantage of the gap to enhance comfort and space. One disadvantage of double wall camping tents is their weight. These models are about 1 to 2 kg heavier than their single wall counterparts, and they tend to take more time and effort to set up. It does require some getting used to, but taking the time and effort to set double wall camping tents will bring many different benefits. Camping tents with single walls allow moisture to pass through instead of letting it slide through the material. Many manufacturers create single wall tents with a decent amount of waterproofing to prevent moisture and light rain from getting inside. Also, these camping tents tend to lack the extra space for luggage and shoes. Nonetheless, these models are built for their compact design and ease of handling. 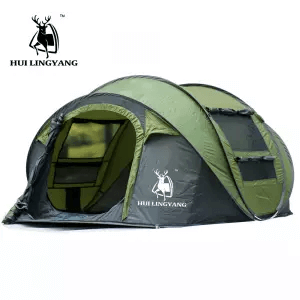 Single wall camping tents are lighter than their double wall siblings, and these models tend to be easy to set up as well. 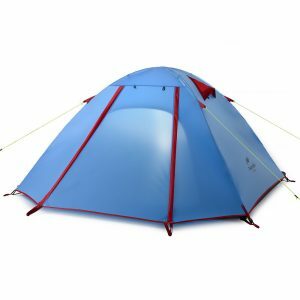 Despite these tents being easy to put together, they’re a recommended choice for intermediate to advanced users. Aside from the type of walls, you should also consider the camping tent’s ability to “stand” on its own. There are two types of tents in this category, and they are the self-supporting and non-self-supporting types. Self-supporting camping tents are ideal for areas where it’s difficult to drive pegs into the ground. Non-self-supporting tents, on the other hand, are great for soft surfaces like soil and strong against wind. That’s being said, even self-supporting tents need some pegs to stand in most cases. It’s important to use pegs in windy environments for your safety camping. Next, consider the type of setup method when choosing a camping tent. Tents will either have sleeves or clips when setting it up. 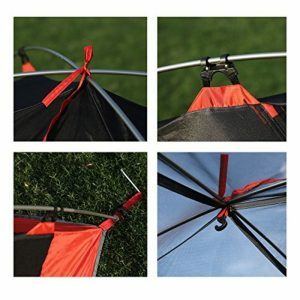 Camping tents that use the clips require users to clip the tent on a pole. These models tend to be easy to set up. Tents that use the sleeve method, on the other hand, needs users to pass a pole through a sleeve or tubular fabric. These sleeves support the stability of the tent as it makes the portable shelter resistant to strong winds. Choosing the right tent based on the setup method depends on the weather of the camping location. Beginners may want to choose the clip type if the area has a calm weather. Otherwise, if there are strong winds in the area like on a mountain, it’s best to choose camping tents with sleeves. Before buying any tent, ensure that you think about the number of people that are going to use it plus one, in order to keep enough space for everyone. In other words, if you think that there will be 2 people sharing the tent, then search for a model that can easily fit 3 persons. 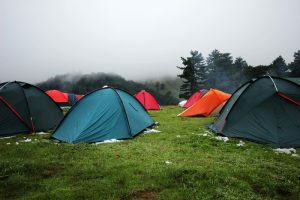 However, if there are at least 4 people going to the camping trip, then it’s best to buy and use several tents that can easily fit 2 or 3 people instead of buying one very large tent. Bringing several tents is easier than lugging around one giant tent since the weight is dispersed among the members of the trip. Camping tent manufacturers use both nylon and polyester materials for the main fabrics of their products. However, it’s a recommended choice to choose nylon over polyester for mountain climbing. 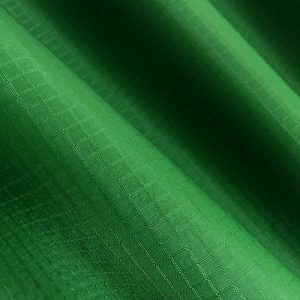 Nylon is lighter than polyester, and it does not burn easily. Furthermore, the lightweight material is easy to carry but you still need to be wary of the durability. To check the durability, consider the Denier (D) and the Taffeta (T) of the material. The D indicates the thickness of the fabric whereas the T indicates its density. Both the fly and the inner area of tents tend to have 20 to 30 D’s, but these models generally have a high-density fabric of 190 to 210 T’s. Always remember this standard when choosing the best camping tent. Now that you’ve read our “How to Choose a Camping Tent” guide, it’s time for us to jump into our recommended products section. 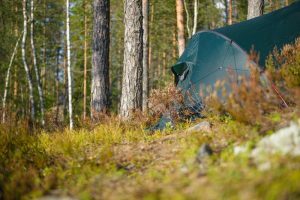 Take a look at our recommended camping tents in this list to see which model fits your preferences. If you are a camping beginner and don’t have a sleeping back yet, this is highly recommended for you. This tent comes with a sleeping bag at this very reasonable price. You can unzip this camping tent to make it act as a blanket, so you can comfortably lie down on it and gaze upon the stars at night. 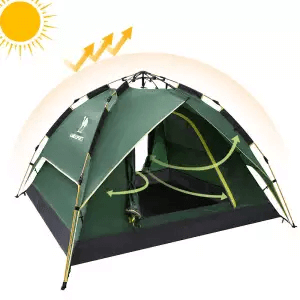 Even though the size of the tent is small for tall people (6-foot tall people will have some problems), the price and its decent durability make it a good choice for camping beginners. If you don’t want to spend too much time and effort in setting up and storing a tent, then consider this model. All you have to do to set it up is remove it from the bag, spread it out, then pull on the upper elements like you would do with an umbrella. You can choose from 2 colors, orange or green. It’s a good choice for sudden camping trips because of the quick setup and storing process. 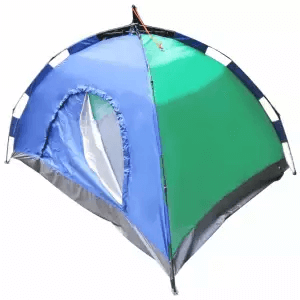 Ripped fabric on tents will always be a cause for concern for many campers and hikers, but that doesn’t have to worry you when you have this model. It has a 68 D thickness so twigs, roots, rocks, and other objects won’t easily damage or rip the material. However, the additional thickness does mean it’s slightly heavier than similar models (it weighs 2 kg). Still, if you’re on a solo camping trip and if you’re packing light, this is a good tent to keep yourself (and your things) safe. It’s safe to say that all campers and hikers aren’t a fan of rains during outdoor trips, but you can keep yourself and your belongings dry with this camping tent. This model has a 210 T silicon-coated polyester material to keep rain and moisture out where they belong. It even comes with a very dense 150 D oxford cloth for its floor to assure comfort isn’t lost when you’re trying to sleep. 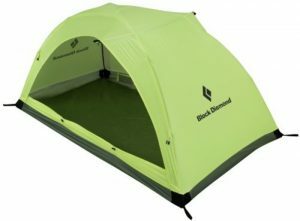 It does require manual setup and storage, but this tent is still a great choice for camping in wet or moist environments. 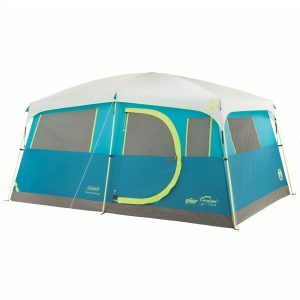 If you want to ensure you have the best comforts of home with you when you’re on a camping trip, consider getting this tent. Step inside and you’ll see a built-in closet complete with shelves and a hanger bar to organize your clothes and gear. The interior is also very large that it can easily fit 2 queen-sized beds. Its very large size does come with an expensive price tag, but it’s an excellent choice for a complete outdoor experience for a large crowd. Long hiking and camping trips require you to pack plenty of things so a lightweight tent may become a necessity. With that in mind, this tent has a weight of 1.7 kg so that you can add more stuff to your list of necessary camping equipment. 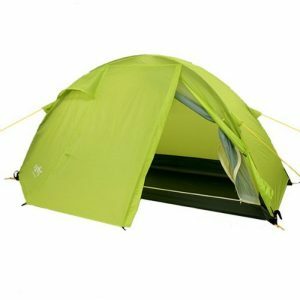 It also comes with 20 D nylon walls and a 240 T polyester floor, and both fabrics are waterproof at these values. Aside from letting you pack more stuff, this lightweight tent is also great for people with back problems as the light build won’t put too much strain to your back. 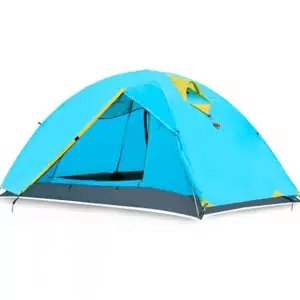 There are camping sites that offer electricity campers, and if you’re about to go to one then it’s advisable that you should get this camping tent beforehand. It comes with a zippered port to keep your electrical cords in an organized and safe fashion. Aside from the neat way to keep your in order, it also comes with welded seams to keep away up to 600 mm of water. Although the average tent should already do well with 500 mm of waterproofing, you can never have enough sealing. 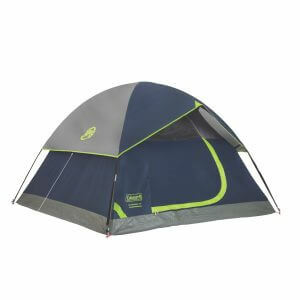 Most camping tents require you to set the parts down on the ground first before you can properly set it up, but one throw of this model and you can start enjoying its amenities. The design of this model also allows for a quick way to store it after use. 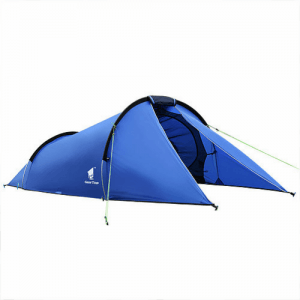 However, the use of the oxford material along with the 290 cm length means that you need to be quite strong to carry this tent around with its weight of 4 kg. Still, the large openings make it an ideal choice for camping trips during warm or hot weather. This double wall camping tent has both polyester walls coming with 210 T’s of density to protect you from heat, rain, and strong winds. Even the floor is made with the same material as the walls to keep moisture away when you’re trying to sleep on a rainy evening. Despite the density of the walls, you can still see through them when you’re inside so you don’t miss any of the action happening outside even when you’re taking a short breather inside. 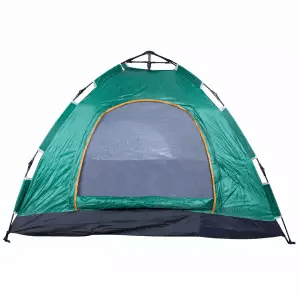 This tent is a great all-around camping companion for different settings and occasions. If you’re looking for a camping tent that can handle plenty of your requirements, then this can become the next item on your shopping list. The tent is easy to set up and it’ll take no longer than a few minutes to put up or store. Its double oxford walls have 150 D’s of thickness for excellent protection against heat and rain. Lastly, the spacious interiors and large openings offer excellent ventilation while you’re inside the tent. Some camping sites will have a hut, a toilet, and a place to get clean water nearby but these places may require a fee to maintain the area. 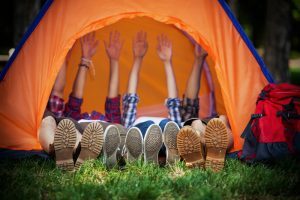 The best camping spots will most likely have other people setting up tents in the area, so it’s best to schedule your trip beforehand. Now, let’s take a look at some important points when choosing a location to set up your tent. Drainage can become a problem in some places so water puddles can form if it rains. Also, rocks and the roots of trees can make sleeping difficult. Using a tent mat can remedy problems regarding comfort. It’s uncomfortable to sleep when the land where the tent is set up is on a slope. Sleep is an important factor for any camping trip to ensure that you always seek out a flat surface to pitch your tent. Beginners and advanced campers and mountain climbers all experience difficulty in choosing the best camping tent at some point in their lives. Reading our guide and checking out our list of the best camping tents in the Philippines should alleviate some (or all) of the woes of selecting the right model for your upcoming trip. You can always bookmark this page if you feel that you need further assistance on the matter.